Effective 1 October 2014, Bahrain will introduce a new visa policy. As per official information, the new visa policy will now allow nationals from over 100 countries to obtain a visa either online ahead of travel, or on arrival. The new visa policy is an important development that places Bahrain among countries with flexible visa policies in the region. The new policy will also be accompanied by improvements to individual screening process, thereby ensuring a more effective processing of applications. It will further enable expatriates who do business in Bahrain, to easily travel in and out of the Kingdom, as well as boosting the tourism industry. 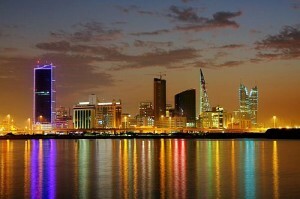 Under the new policy, visitors from 66 countries will be able to receive visas upon arrival in Bahrain. These visitors will also be eligible to apply for their visas electronically ahead of their arrival in the Kingdom, further easing their travel experience. Visitors from a further 36 countries will also be able to exclusively obtain electronic visas, bringing the overall total of countries eligible to receive e-visas to 102. e-visas can be obtained ahead of travel through an online application process which works for both business and leisure travellers.